Learn the wisdom, patience, and love that comes from life experience through the years - learn from your elders and grow in your faith. This audiobook is dedicated to those who have come before us and walked out their faith with fear and trembling before the Lord Jesus Christ. Your wisdom, inspiration, and guidance along the way continues to bless us all. Thank you for serving the Lord and touching people’s lives along the way. God bless you. This audiobook is designed with the young person in mind. 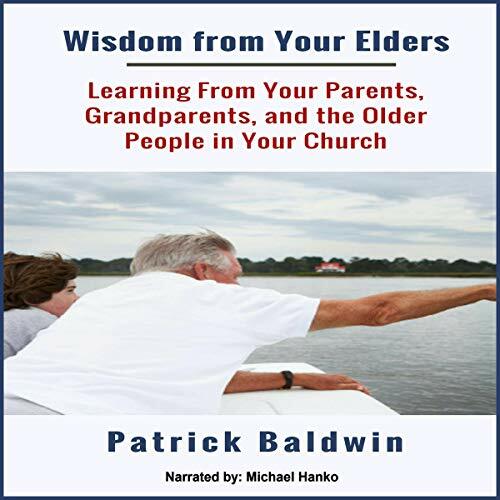 However, this audiobook is also for parents, grandparents, and everyone else who has a regular connection with a child or teenager. Its purpose is to: a) remind you that it is your job to instill wisdom and common sense into the hearts and minds of the generation coming after you; b) give you practical ways to accomplish this task; and c) help you do your job in such a way that it inspires and prepares the children and young people in your life to be ready to do the same...someday. I know that sounds like a monumental-sized task. But it’s not. All it really requires is for you to make a personal investment into the lives of the children and young people you know and love. So yes, while it sounds like a monumental-sized task, it’s not. But it does have monumental-sized rewards. ©2017 American Christian Defense Alliance, Inc. (P)2019 American Christian Defense Alliance, Inc.